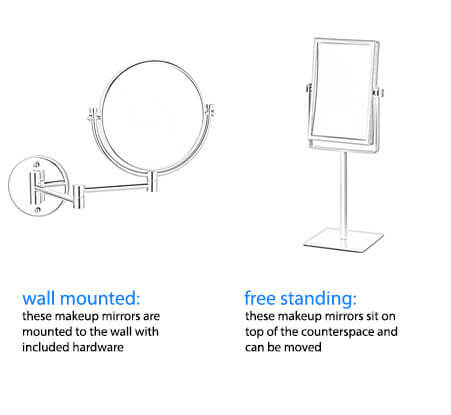 Shop our selection of hardwired makeup mirrors and get FREE shipping on all orders over $99! 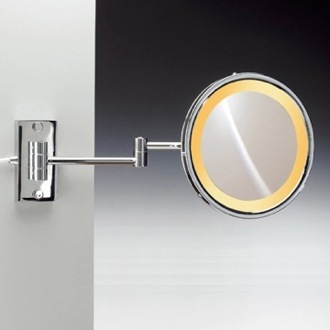 All it takes is the flip of a switch to turn on your hardwired makeup mirror and get ready for your closeup. 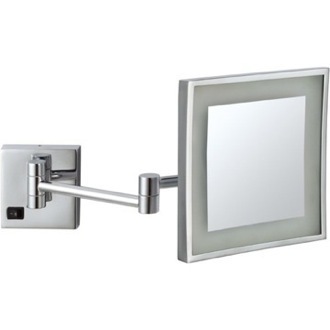 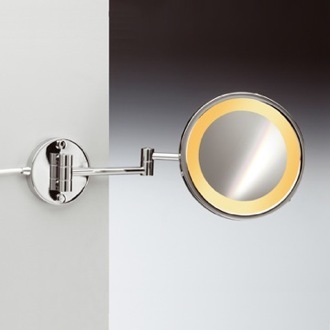 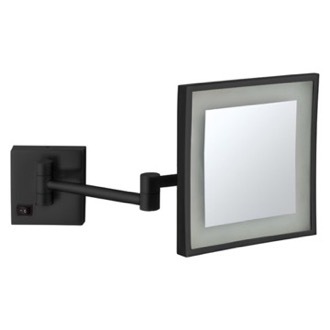 Wall mounted wired makeup mirrors forgo the hassle of batteries and provide a good source of light for perfecting the fine details of your grooming routine. 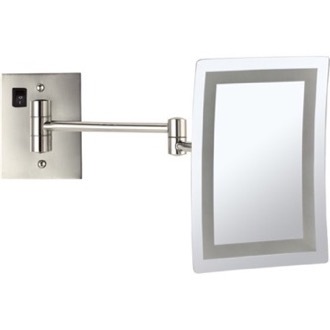 Many electric makeup mirrors come with extendable arms so you can easily fold them away when not in use. 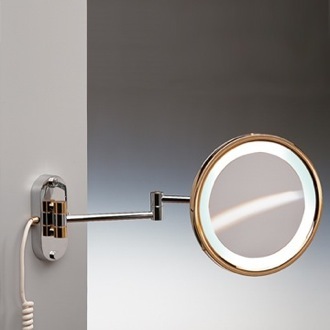 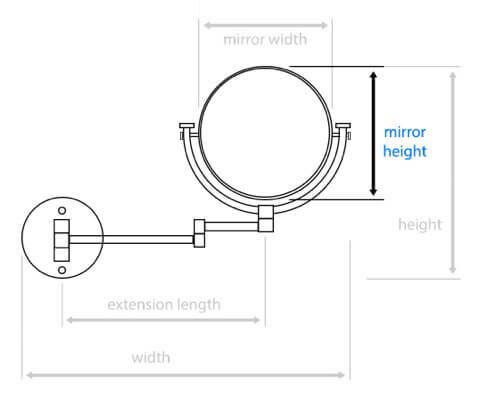 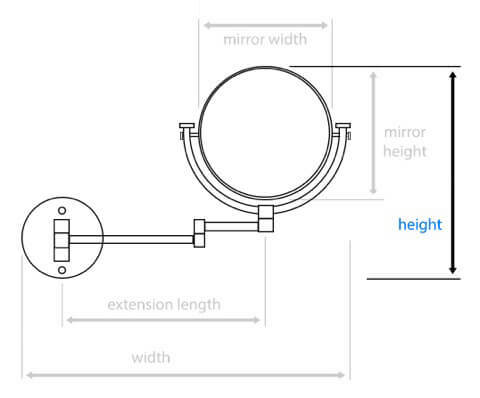 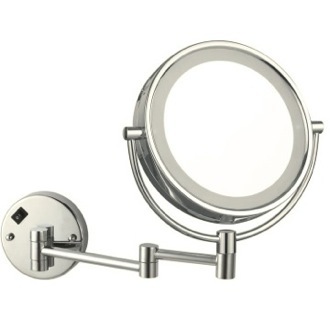 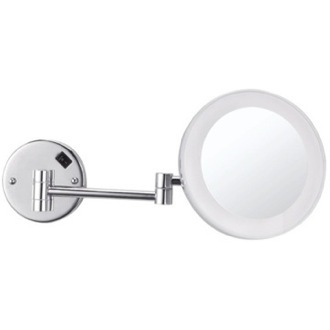 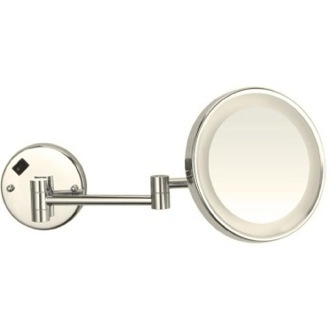 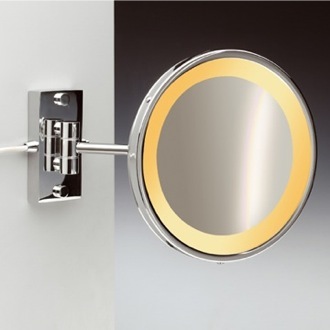 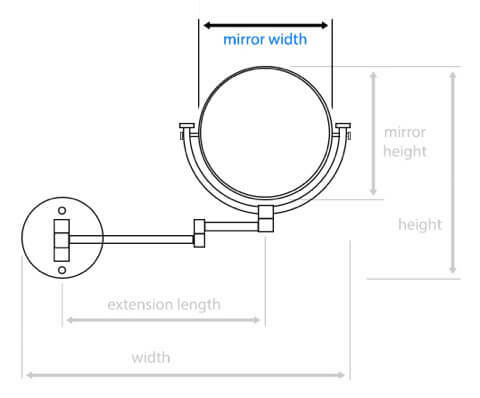 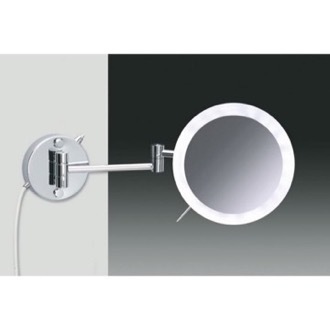 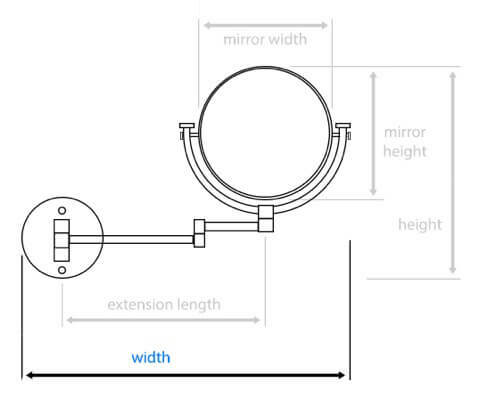 To add a wired makeup mirror, you'll need proper cabling and the assistance of a professional electrician. 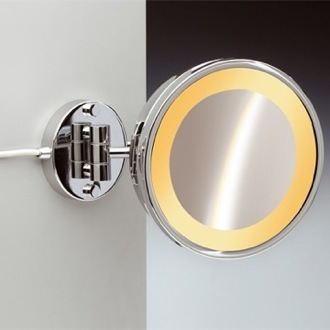 More shopping tips Tired of searching for batteries for your lighted makeup mirror? 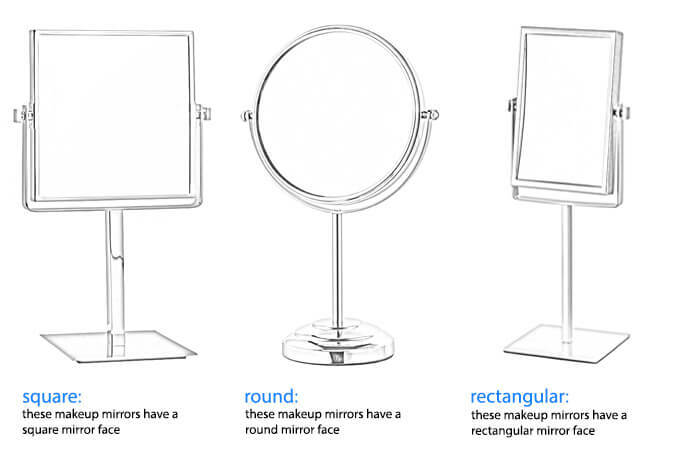 Our hardwire makeup mirrors will make it so you never have to do so again. 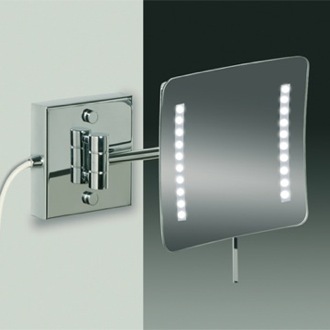 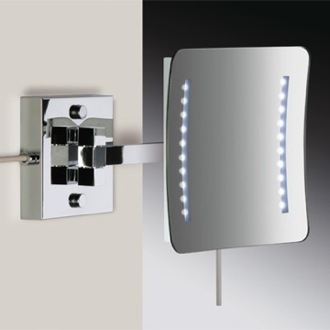 They all come ready to install and once they're set up, you can turn your lighted mirror on and off with a simple flip of a switch. 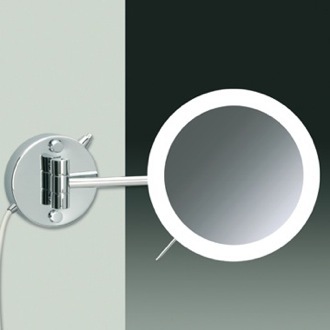 If your ideal location already has the proper cabling, your mirror can be ready to go in minutes. 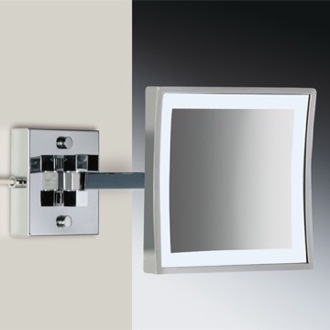 If not, a quick call to a licensed professional is all it takes to get the installation process underway. 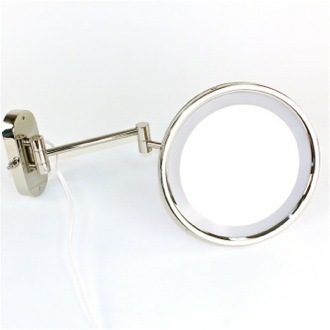 Our hardwire makeup mirrors come in a variety of styles. 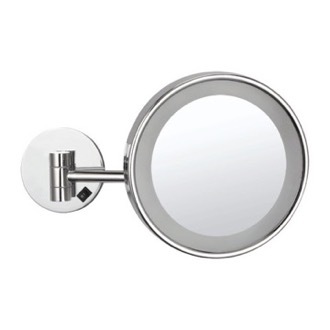 From classic round designs to modern square designs, you'll find one that's perfect for your bathroom. 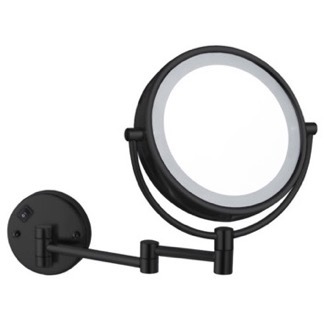 Choose one with the ideal arm length and magnification features and you'll be ready to spend more time with applying makeup instead of searching for batteries.